Nothing hits the spot like fresh seafood. Crab, which is particularly rich, can be served in a number of ways. We suggest trying our easy lactose free crab cake recipe. 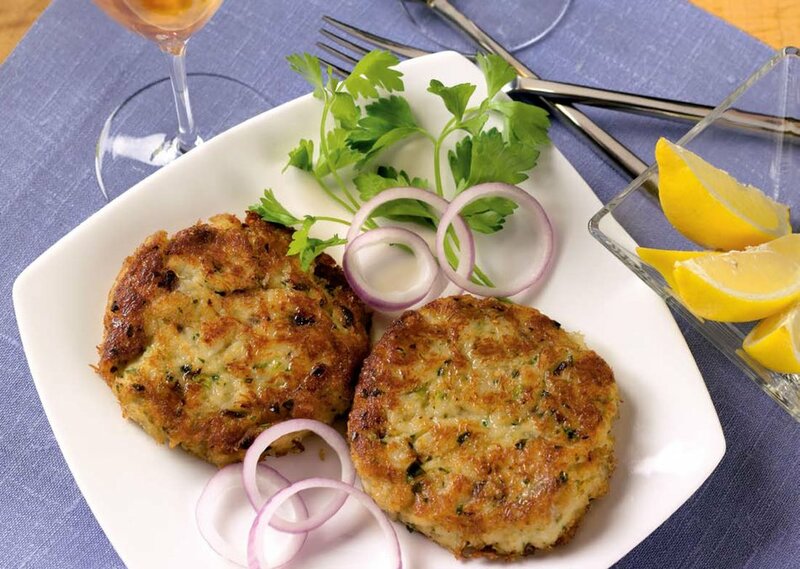 It takes very little time to make, and with a single pound of crabmeat you can make six exquisite crab cake patties. 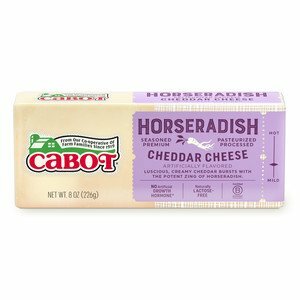 We recommend serving the crab cakes with some Cabot horseradish cheddar. The cheddar adds a little extra zing that you’ll definitely love. Because these crab cakes are so simple to make, we suggest cooking them up for a quick picnic or a casual family get together. After trying the recipe, please share it with your friends and family. If you’re on the hunt for a new crab cake recipe, you should give ours a try. To cook up our crab cakes, you’re going to need the following: one pound of lump crabmeat (shells removed completely), chopped celery, red or yellow onion, parsley, Dijon mustard, lemon juice, Worcestershire sauce, Old Bay seasoning, Cabot Horseradish Cheddar, mayonnaise, panko breadcrumbs, an egg, and some canola oil. Thankfully, you don’t have to do too much to prep the crab cakes: simply add the crab, chopped celery, onion, parsley, lemon, Worcestershire and Old Bay into a medium bowl. Mix ingredients and add some cheddar, mayo, panko breadcrumbs, and the egg. Next, shape six patties that are roughly equal in size. You should then let the patties refrigerate for at least an hour or so. The patties will only take about eight minutes to cook. Place the patties onto a hot pan and cook each side for four minutes or until the breading turns a rich, golden color. Crab cakes are ideal for backyard gatherings, barbecues, or big family dinners. If you’re on the hunt for another dish that’s great for social settings, try our corn cheddar fritters. When it comes to finger food, you can’t beat corn fritters! Cabot is a cooperative of 800 farm families. We work hard every day to produce our award-winning cheeses and assorted dairy products. We’re positive that you and your loved ones will dig our crab cakes, but we want to hear your thoughts about them. Please rate and review our crab cakes after trying them! COMBINE crabmeat, celery, onion, parsley, mustard, lemon juice, Worcestershire, and Old Bay seasoning in medium bowl. Add cheddar, mayonnaise, breadcrumbs and egg and mix together gently but thoroughly. SHAPE into six equal patties. Cover with plastic wrap and refrigerate for at least one hour or until ready to cook. PLACE large skillet over medium heat. Add oil and heat until shimmering, about 2 minutes. Add crab cakes and cook until golden on both sides and cooked through to center, 3 to 4 minutes per side. *Panko are coarse Japanese-style breadcrumbs that produce an especially crispy result. Find them at gourmet supermarkets, specialty food stores, or Asian markets. Plain dried breadcrumbs can be substituted.